Great event marketing is about great communication. But event marketers can often spend so much time crunching numbers in spreadsheets, working on CRMs and databases, budgets and attendance targets that it becomes easy to forget our important role of effectively communicating with our customers.Yet many marketers never truly visualise who their customers are. 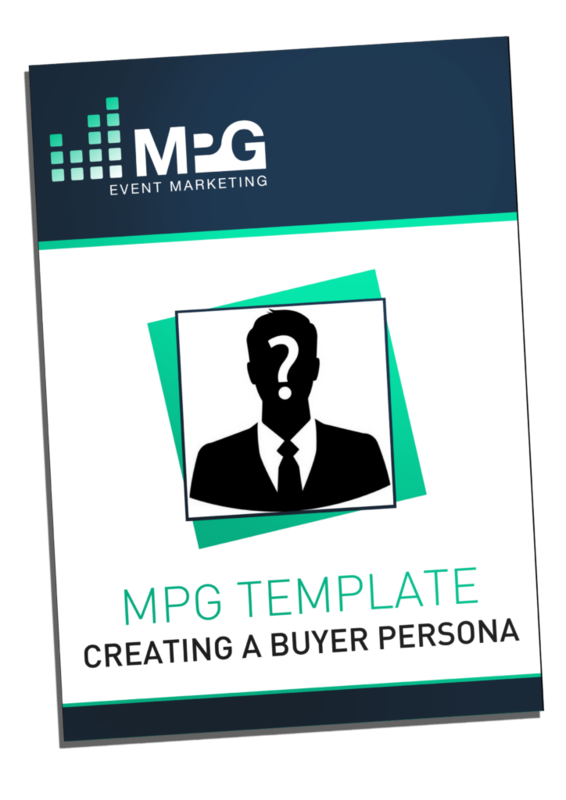 Failure to consider the ‘buyer persona’ carefully is a common problem in B2B event marketing and hamstrings countless campaigns. A buyer persona is a ‘semi-fictional representation of your ideal customer based on market research and real data about your existing customer’. Well-crafted personas based on categories such as job title, job function, gender, location, income, strategic priorities and KPIs provide a clear picture of who makes up your audience and how to effectively communicate with these people. People are busy. They only have time to open their eyes and ears to organisations that can help them be better at their jobs or progress their careers. What keeps our customers awake at night? What stops them getting the results they need? What can your event do to help them reach their goals? Does your marketing address these issues? Or are you sending over vague messages about an event that would be ‘nice’, but not ‘essential’ to attend? If so, you need to build (or rebuild) your personas. Think business-to-person, not business-to-business. As well as revealing the wants and needs of your audience, good persona work will unveil what it is they don’t want and the obstacles that stop them attending an event. Their employers cannot see the true value of the event? Marketers need to know these objections, so they can then include the right benefits to counter these points in their messaging. Our next blog will delve into the process of creating benefit led copy, but without investing in persona creation, it’s not possible to create ideal copy for your audience. As industries change and technology evolves, so do the needs of your target audience. Personas need regular revision to remain relevant. As your target market evolves and expands, so must your persona descriptions. Persona creation – and the results they bring – is another way for the marketing function to prove its strategic value and earn a voice at the top table. A common gripe for event marketers is they are not consulted on event strategies. Strategic persona work is one of the best ways to transform this situation. Marketers should take the opportunity to step up and champion persona development. This will benefit the event, the organisation and event marketers. We have a dizzying array of channels and tools available to today’s B2B event marketers, and the humble email is still one of the most effective.